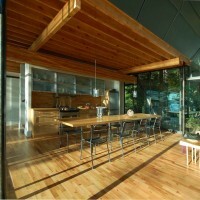 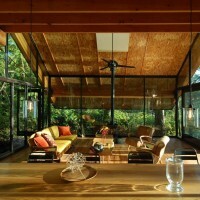 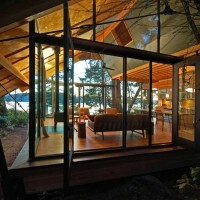 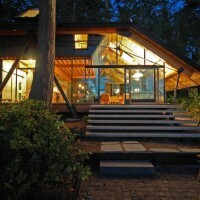 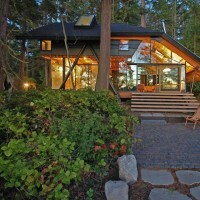 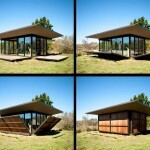 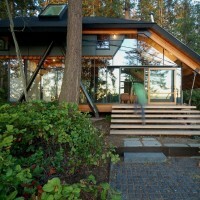 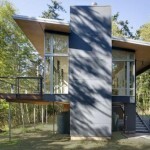 Zeroplus Architects designed the Sneeoosh Cabin in Puget Sound, Washington. 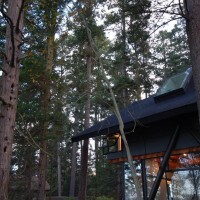 Like a rabbit warming itself in the sun, the Sneeoosh cabin is the underbrush at the waters edge near Deception Pass on the Swinomish Indian Reserve. 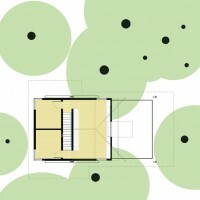 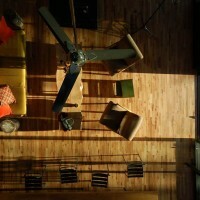 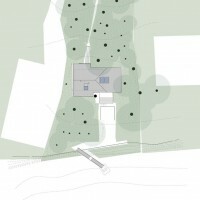 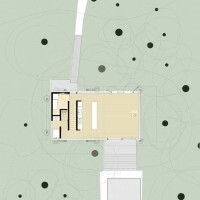 The dynamic quality of the surrounding landscape becomes integral to daily rituals. 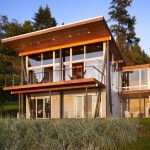 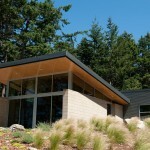 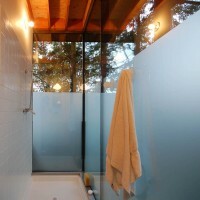 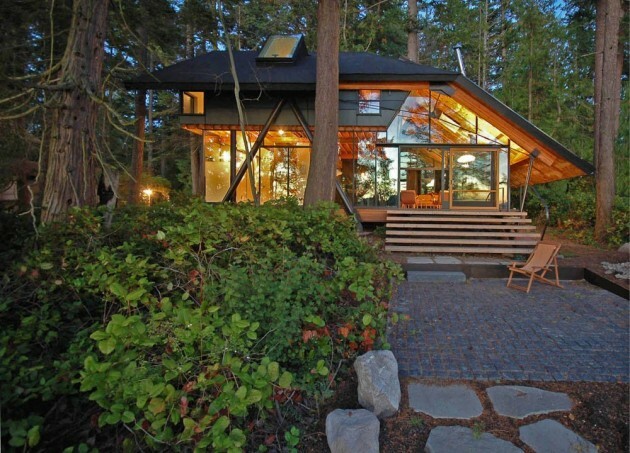 With its glass enclosure, the main living space is exposed to both the forest and larger views of the sound, Hope Island, Whidbey Island and the Olympic Mountains beyond. 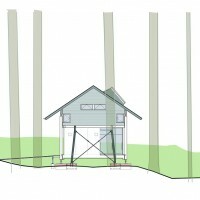 The upper floor, tucked beneath the overscaled protective roof, is highly insular and protective by contrast and houses private sleeping spaces. 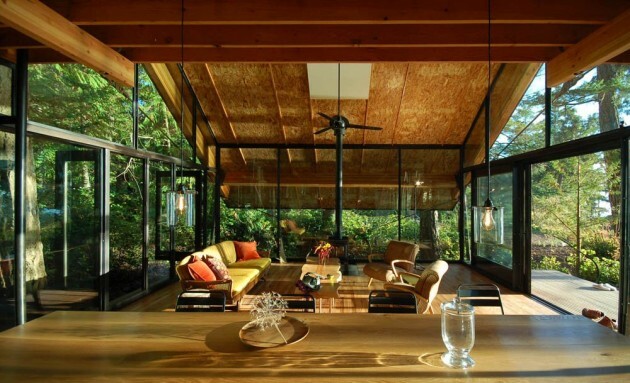 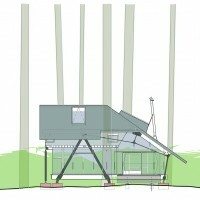 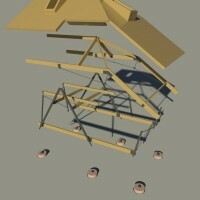 Constructed to be minimally disruptive to the forest vegetation and its inhabitants, its innovative structural system limits its impact upon the environment while futhering our ongoing studies of lightness and adaptability in architecture.